AMUAA of Chicago invited members to sponsor a project for Girls School Education. Executive Council and Board received and accepted a proposal from Jaliliya Muslim Girls Higher Secondary School, Daliganj, Lucknow. The proposal asked for extending girls education from X to XI and XII standards. This required the construction of two class rooms and furnishing them. 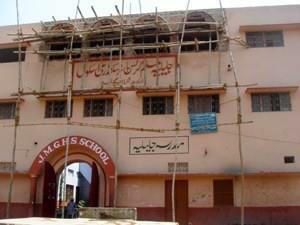 In Aug 2006 the AMUAA of Greater Chicago received an update on completion of construction work at Jaliliya Muslim Girls Higher Secondary School, Lucknow. The construction was completed before schedule and classrooms were put to use in July 2007.